This vintage weather tight cast brass nautical piling light measures 11 inches tall x about 8 inches wide. 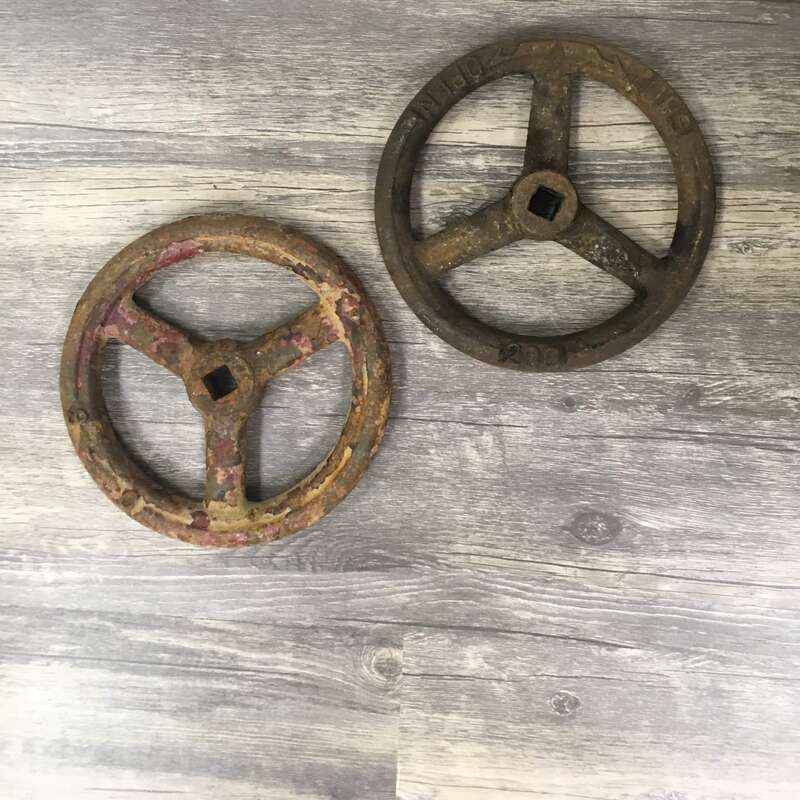 The heavy duty cast brass base has two mounting legs with holes that are about 7 1/2 inches on center of each other. This weather tight cast brass nautical piling light can be mounted with the glass pointing up or down. It weighs about 17 pounds. Originally the wiring entered one of the two side conduit holes. We have enclosed the original conduit holes with copper caps, and a new hole has been drilled in the center of the base that will allow for a very clean installation. 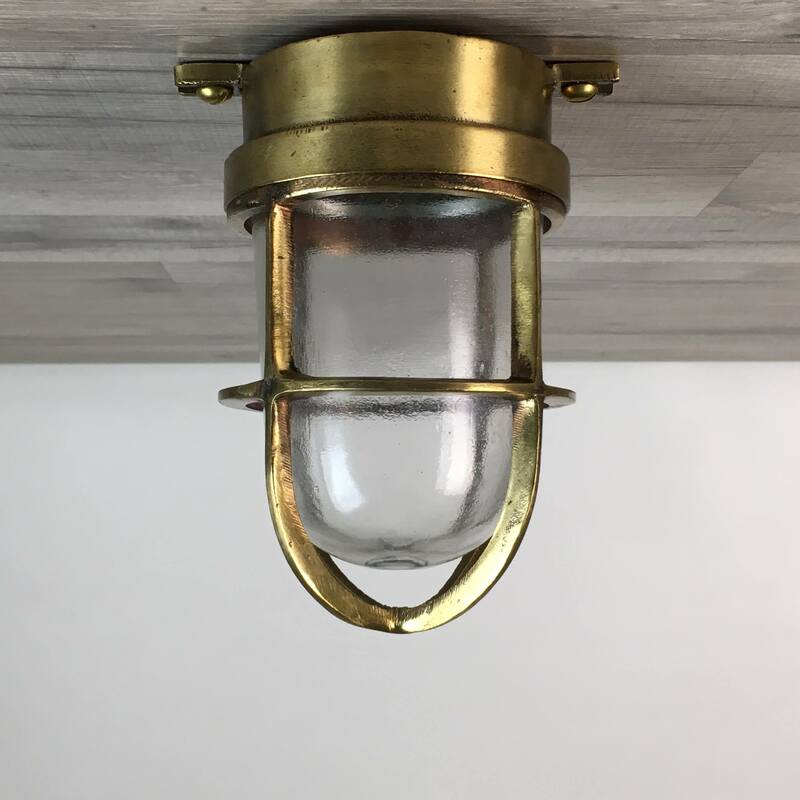 This vintage weather tight cast brass nautical piling light was completely rewired with a new UL-Listed bulb holder that was made by Westinghouse Electric. The bulb holder takes a normal screw in house bulb of 100 watts or less. The all new wiring is suited for any voltage under 250 volts. This light has a weathered look and the cage will have the normal bends and possible repairs.